It’s impossible not to love a good onboard video, and Setra Motorsport’s supercharged 2001 E46 BMW M3 will blast your eardrums with pure awesomeness. 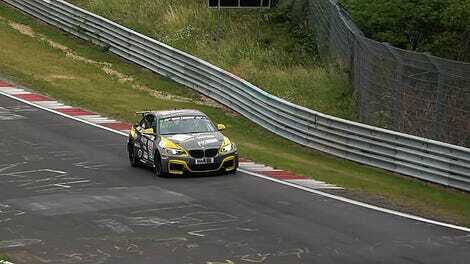 Let’s ride along with it on the Nürburgring’s Nordschleife, where it laid down a ridiculously quick 7:16.927 lap time. Best of all, he did it with a manual transmission, as few things on this earth are satisfying than watching a foot-cam of perfectly-executed heel-toe downshifts. Hansesæetre’s lap was just shy of the brand-new Camaro ZL1 1LE’s 7:16.04 lap time—with a car 17 years its elder. Sweet. You don’t need to have the latest, greatest, most expensive supercar technology to go fast, even on the Nürburgring. You just need lightness, some willingness to tinker and big ol’ huevos of steel. UPDATE: Hansesætre gave us a few more details on the car along with an exterior shot, which he claims is the fastest manual BMW to ever lap the ‘Ring, not just the fastest E46 M3. A supercharger kit from ESS Tuning gives it approximately 700 hp—which is totally insane.